The Adventist Church is currently facing a challenging average retention rate of 50 percent,1 obviously with a corresponding evasion rate. More than a problem for the church as an institution, it may also represent an eternal life-or-death issue for those involved. A question that may be important for those in church administration—from the local church to the higher institutions—is whether there is a reliable church-evasion predictor. If identified, it may help leaders to provide priority ministerial attention (nurture) to those in greater need, which would certainly affect retention rates. This article aims to contribute to that discussion, suggesting a church-evasion predictor, which is probably the easiest one to assess. It will present some concepts and strategies from the Bible and Ellen G. White writings, as well as some recent suggestive data, about how to encourage church members to become more fully attached to God and heaven. This article will focus on ways that generosity and spiritual financial giving,2 or their absence, may function as apostasy predictors and impact church-retention rates. Heart retention (inward adherence), instead of just body retention (outward adherence), is a foremost concern of Jesus, evidenced in His preaching (i.e., Matt. 5-7). When asked about what to do to inherit eternal life, Jesus’ answer surprises the inquirer since He presents an affection—to love God with all possible capabilities and the neighbor as himself—as a mandate of supreme importance. The radical emphasis on how this affection should be pursued, “with all your heart, with all our soul, with all your strength, and with all your mind” (Luke 10:25-27; Mark 12:29-31; Matt. 22:37-39; Deut. 10:12), may suggest that this “nurture” endeavor is the essence of any retention program. It is so essential that without it any religious exercises such as public worship or offering giving are considered meaningless by God (Mark 12:33; Isa. 1; Hosea 6:6). [Loving] God is the most important choice for eternal life, and . . . this affection may be started and increased by spiritual financial giving. But in a world so full of distractions, how can Jesus’ followers develop this radical affection toward God? In Matthew 6:19-21, Christ states that material possessions are carriers of affections. Therefore He warns His disciples to use them as instruments for placing the affections (the “heart”) in the right place, in heaven—with God in His dwelling place—“for where your treasure is, there your heart [affections] will be also” (Matt. 6:21). To know that to love God is the most important choice for eternal life, and that this affection may be started and increased by spiritual financial giving, is important information for those interested in developing nurture and retention strategies. Jesus is describing here His “Heart Retention Principle”—a divine strategy devised to keep the heart in His kingdom, and not just the body in the church. The reversed application of the Heart Retention Principle establishes that professed disciples who are not directing their possessions (and, consequently, their affections) to heaven (to God), are investing them in the earth and are being distressed and deceived by them (Matt. 13:22). In this way, they are increasing their affections for the wrong objects, choking God’s Word, and becoming spiritually unfruitful (Matt. 13:22). This misguided affection becomes a spiritual malaise called materialism, also acknowledged by John as the love of the world, or the love of things. This produces a corresponding loss of spiritual sight and a loss of love for the Father (1 John 2:15)—a fatal outcome from the nurture and retention perspective! Even though the Bible is not against possessing wealth in this world (God is “He who gives you power to get wealth” [Deut. 8:18]), riches should not be desired or sought after (1 Tim. 6:9); otherwise, God may be hated or despised (Luke 16:13). As “you cannot serve God and mammon” at the same time (Luke 16:13), the first attention should be given to “the Kingdom of God and His righteousness,” and then “all those things shall be added to you” (Matt. 6:33). This obviously includes necessary material possessions. Paul also points to the extreme spiritual risk of materialism for retention purposes by saying that the “desire to be rich” prevents many from spiritual financial giving and drowns “men in destruction and perdition.” Then he explicitly relates materialism and love of money to apostasy by saying that “the love of money is a root of all kinds of evil, for which some have strayed from the faith (1 Tim. 6:9, 10; italics provided)—a clear connection between church evasion and greed. If we assume that the spiritual state of a church will affect its retention rates, then we may expect that “devotion to money getting” among members will worsen those rates. Should we just sit and wait to see what will happen next with such members? May we rightly consider a “spiritually dead” state as preceding apostasy? How can the church recognize this “devotion to money getting” and “spiritual death” condition in a church member; and, if identified, how should church members deal with that person for whom Christ died? Can we consider financial unfaithfulness toward God as evidence of “devotion to money getting” and of “dead spirituality”? Graphic 1: Tithe pattern: 36 months before being removed from membership. Graphic 2: Offering pattern: 36 months before being removed from membership. This radical and far-reaching statement (“will be unfaithful in the things of God in every respect”) connects a church member who is withholding from God with the gradual development of all kinds of imaginable unfaithfulness. This leads to a “dead spirituality” stage, and finally to apostasy and church evasion. How the “love of money” and the consequent financial unfaithfulness may also relate to apostasy and church evasion may be explained by research conducted by the South America Division (SAD) Secretariat,8 which involved the tithe and offering giving patterns of all 1,054,367 members who were removed from membership in their territory from 2015-2017.9 The study findings showed that an average of 86 percent of those who had their names removed from membership during this period did not have any tithing record for at least 36 months prior to officially leaving the church, and 91 percent of them had no offering record during the same period.10 What can we do to motivate church members to secure their hearts in the cause of the present truth, in heaven, and in God? It seems clear that spiritual financial giving is strongly related to church growth and spiritual prosperity of churches, making apostasy less probable. But more than that, it is evaluated by God (2 Cor. 9:7)15 and therefore has definite spiritual and moral implications (Mal. 3:8-10). A broader investigation is still needed to verify data regarding the relationship between spiritual financial giving and church-retention patterns. But at least from a biblical and Spirit of Prophecy perspective, it seems evident that spiritual financial giving is closely related to church growth and spiritual prosperity and is expected to increase church retention rates. For that reason, spiritual financial giving must be encouraged, practiced, assessed, and studied, as its absence can be considered a predictor of apostasy. Members’ financial records should also be studied by a select group of church leaders as a vital tool, helping them to recognize and possibly prevent apostasy by giving priority attention to those members at higher risk. A subsequent essay will be presented to address strategies and programs intended either to strengthen systematic giving and/or to establish appropriate interventions when it is absent. Considering 2012-2017, according to GC Online Statistics Reports; retrieved on 02/19/2019 (http://documents.adventistarchives.org/Statistics/Forms/AllItems. We will consider “Spiritual Financial Giving” as all that is given to God as a way for His stewards to worship Him, or to recognize Him as the Owner of all things. It may include tithes, offerings, and charity. 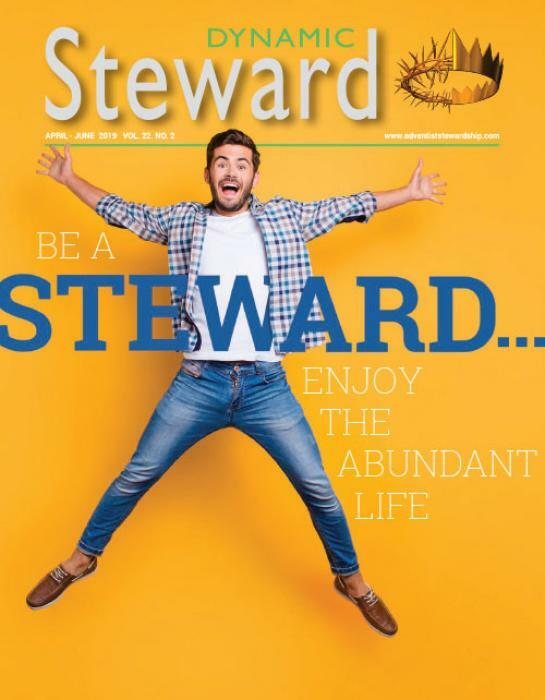 One example: “There are only two places in the universe where we can place our treasures,—in God’s storehouse or in Satan’s; and all that is not devoted to God’s service is counted on Satan’s side, and goes to strengthen his cause.”—Ellen G. White, Counsels on Stewardship, p. 35. McIver, Robert K., Tithing practices among Seventh-day Adventists: a study of tithe demographics and motives in Australia, Brazil, England, Kenya and the United States (Avondale Academic Press and Office of Archives, Statistics, and Research, General Conference of Seventh-day Adventists), p. 153. After studying Adventist giving patterns in five conferences on five continents, McIver identifies five “practices of personal piety positively correlated to tithing,” which are to “ attend Sabbath School,  open and close Sabbath,  study the Sabbath School Quarterly,  read and reflect on the Bible each day, and  pray often during the day.” For that reason, he suggests that tithing should be included “as part of the practices that make up personal piety for Seventh-day Adventists.” Idem. Ellen G. White, Counsels on Stewardship, p. 20. Ellen G. White, Testimonies for the Church, vol. 1, p. 198. PowerPoint presented by Edward Heidinger, South America Division secretary, on August 4, 2018, to the SAD Executive Committee, with data obtained from the ACSM (Adventist Church Management System). An average of 351,455 by year: 313,473 in 2015; 368,123 in 2016; 372.771 in 2017. Even though the study may not be considered conclusive, it does suggest a trend that will require additional research. Ellen G. White, Counsels on Stewardship, p. 73. Ellen G. White, Testimonies for the Church, vol. 3, p. 405. Ellen G. White, Testimonies for the Church, vol. 6, p. 448.
an imprint of InterVarsity Press, p. 123. 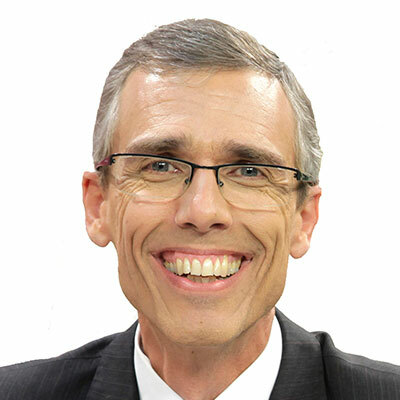 Pastor Marcos F. Bomfim is the director of Stewardship Ministries at the General Conference of Seventh-day Adventists, Silver Spring, Maryland, United States.